A British born, Hong Kong based National Geographic TV adventurer, Best Selling author and motivational speaker. ​Rob Lilwall is a British-born, Hong Kong-based TV adventurer, writer and motivational speaker. ​If one could choose a middle name for Rob, it would likely be “Daring”. Or “Resilient”. Some may prefer “Crazy”. How else would you describe an everyday geography high-school teacher who dropped everything to cycle from Siberia to London via China, Australia and Afghanistan? The journey took 3 years, covering over 50,000 km. If that wasn’t enough, adventure beckoned again a few years later when Rob took on another expedition – this time from Mongolia to Hong Kong. 5,000 km on foot. In winter. Two Nat Geo TV series and two books later, Rob is one of Asia Pacific’s most popular keynote speakers. He has inspired over 50,000 people in over 20 countries worldwide, weaving lessons from his adventures into today’s business world and making them relevant to you. Rob is a passionate life-long learner and communicator. When Rob isn’t being chased by bandits in Papua New Guinea or trekking in sub zero Mongolian blizzards, he spends his time on charity work, writing, and learning new ways of living out the attitudes of adventure in everyday life. Rob is a graduate of the Universities of Edinburgh and Oxford, and a member of the Global Speakers Federation. 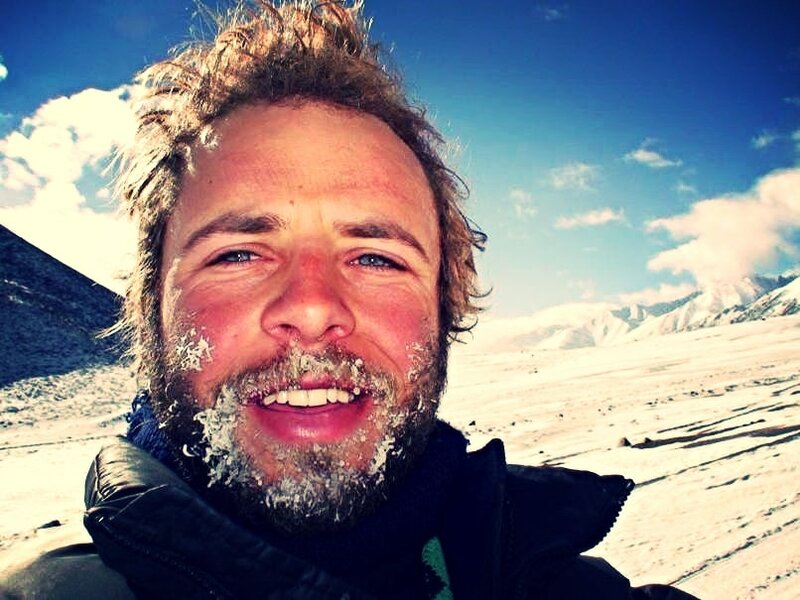 His expeditions have seen him travel over 80,000 km on foot, by bicycle, and by boat through some of harshest corners on earth, including the frozen wastelands of Siberia, the hidden valleys of China, and the lonely passes of Afghanistan. His two most epic expeditions Cycling Home From Siberia and Walking Home From Mongolia were commissioned as television series for National Geographic. His motivational talks have enthralled tens of thousands of people in Asia, Australia, Europe and America. His Cycling Home From Siberia book was described by The Guardian as “a two-wheeled classic”. When speaking to corporate audiences, Rob relates the ever-growing challenges of the 21st century workplace to his own - at times hilarious, at times deadly serious - trials, tribulations and triumphs in the wild lands of the world. He advocates that with the right attitudes, and especially by treating our toughest problems as challenges and adventures, our performance in any field of work can be significantly enhanced. Rob’s talks combine laugh-out-loud entertainment with profound motivational messages, making them an excellent and memorable component of corporate training days, off-sites, and conferences. which he expertly applies to help his audience redefine, embrace and overcome challenges. Rob can focus on certain topics depending on the theme of the event or desired outcomes of the client.